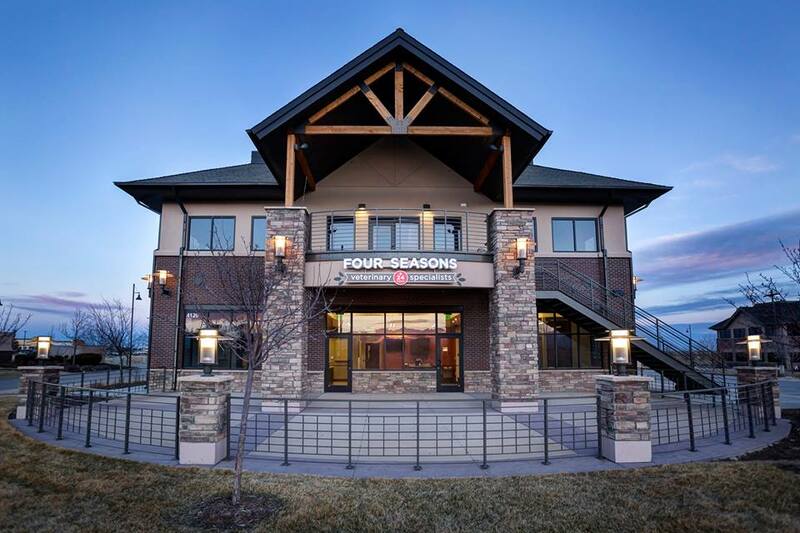 It’s hard to imagine, but Four Seasons opened our doors to patients five years ago on March 17, 2014, and just as in our early days, we remain an independent, woman-owned and operated specialty practice. At that time, we had emergency, surgery, radiology, dentistry and cardiology services, but it took a while longer to add medicine and even more time to add oncology. Most of the specialty departments were ready to take off as Drs. Jen Lowry, Tara Britt and Clarence Sitzman had established mobile practices in radiology, surgery and dentistry. A lot has changed since then. There are new departments, new staff, new ways of doing things, but the heart of Four Seasons always remains the same: excellence in care. with love. Today Four Seasons is a thriving practice with well over 21,000 patients and growing. We strive to be the best 24/7 specialty veterinary hospital in northern Colorado, with a reputation for excellence, passion for our work, and unsurpassed caring for our patients and their families.